Actress Rhea Chakraborty, who was recently roped in to play the female lead in T-Series’ upcoming film Satellite Shankar, has bowed out of the project days after it went on the shooting floor. The news has been confirmed by co-producer Murad Khetani. “Rhea and I were in talks regarding the film but due to her date issues, she couldn’t be part of the film. She is a talented actor and I look forward to working with her in future,” said Khetani in a statement. Satellite Shankar stars Sooraj Pancholi as the male lead. 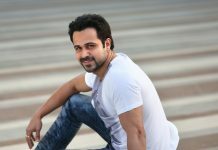 It will be his second film after he made his acting debut with Nikkhil Advani’s Hero in 2015. The movie stars him in the role of a soldier. Produced by Bhushan Kumar, Satellite Shankar is directed by Irfan Kamal.